The sudden end to Project M’s development yesterday has turned the Super Smash Bros. community on its head. No one’s quite sure what the next step should be, resulting in a lot of conspiracy theories, yelling, and confusion. Read my last post to get completely up to speed, but let’s lay out the basics. Project M was an ongoing effort by a handful of developers to make Super Smash Bros. Brawl for the Wii more like Super Smash Bros. Melee for the GameCube. Tweaks, roster changes, and stage additions occurred over the last six years before the developers, out of nowhere, announced they were calling it quits. While Nintendo had never publicly condemned Project M, various gestures over the years—such as banning mentions of it on the Miiverse, streams on Twitch—painted the unsurprising picture that Nintendo didn’t really care for Project M.
Still, Project M’s developers claimed Nintendo had not slapped them with a lawsuit, nor was there a scary cease-and-desist letter telling them to stop. In the hours since the news broke, however, the picture has gotten...fuzzier. For one, the official Sonic the Hedgehog account on Twitter weighed on. Whoever is running that account should get a raise. Anyway! The Smash community is full of vocal, passionate fans, and Project M ending had plenty of people distressed. It didn’t take long for emotions to impact the team. These emotions—on both sides—were (are) a mixture of anger and sadness. Specifically, anger and sadness over the notably vague reasons Project M was dead, and questions over why the website had been stripped of download links. But the big question still lingered: what’s next? 3.6 was the last major revision for Project M, though the development team had actively been working on 3.61. Official patch notes hadn’t been released, though a mixture of details and speculation made the rounds on reddit and elsewhere. 3.61 was never released, but in yesterday’s chaos, it leaked out. An anonymous post on 4chan included the statement “Christmas is early this year” with a link. Undeterred by the threat of viruses, some folks downloaded whatever the link contained and found an in-development version of 3.61. One of Project M’s former developers—the team has cycled through people over the years—appeared to knowingly wink at the leak during an AMA (ask me anything). Though 3.61 wasn’t finished, it inspired others to pick up the mantle. A “newPMDT” subreddit was established to examine 3.61’s problems and begin a new development branch of Project M called Evolution. The community was mixed on whether this should even happen. But only 24 hours later, Evolution already had a logo! I mean, a logo makes it official, right? Though Project M was dead, the developers were monitoring the community reaction. When Evolution was announced, it didn’t take them long to condemn it. 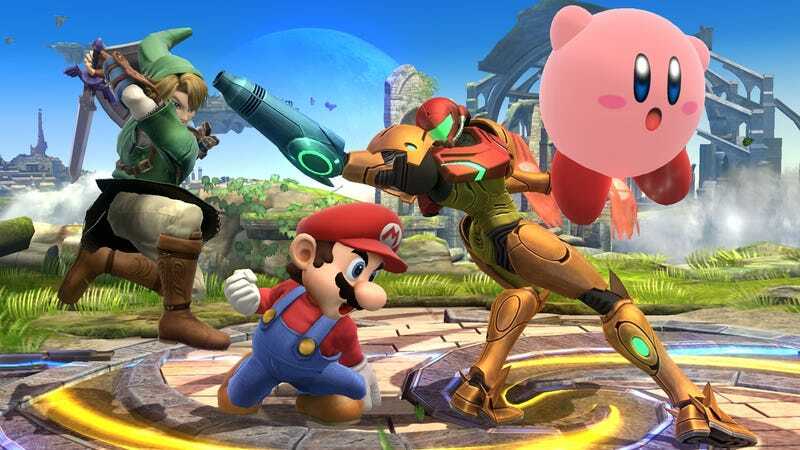 Though the leaked files made them uncomfortable, it stood as a testament to the community’s dedication to Smash and Project M, so they understood. That said, picking up where Project M left off was something they couldn’t ignore. Strong Bad “urged” the community to stick with 3.6 and “condemned” projects like Evolution. For me, the vague statement “could jeopardize that good standing not only for ourselves, but for them as well” is where I started to get curious. Project M’s developers claim everything was kosher when they decided to move on. After six years, no one could blame them for wanting to pursue new things. But is there something else going on? It’s unclear, but here’s what we know. Mewtwo2000, a former developer on Project M, posted a message to Facebook, focusing both on the passion of the Project M team....and their legal troubles. While Morrison reaffirmed no active legal action had been taken, he confirmed something was happening behind-the-scenes, though he wouldn’t get specific. Morrison said there wasn’t a gag order in place. Whatever the Project M development team wouldn’t say publicly, it’s their choice not to speak about it. Yesterday morning, reddit user throwingthisaccsoon posted to the Project M subreddit with “Story of what happened to Project M,” containing a story from “another forum” with hefty allegations. Within minutes, the thread was gone. It’s hard to permanently hide things on the Internet, though, and the story was allegedly captured before it disappeared, allowing it to be shared in other places. It goes on and on, but the basic gist is that Project M allegedly got wind that Nintendo was fed up, and the next time Project M was updated, the hammer was coming down. To avoid drowning in a big time lawsuit, Project M was shut down. Fueling the fire is Project M’s own lawyer admitting to me that the development team had their “hands forced” due to “changes in the scenery.” Hmm. Nonetheless, their lawyer pushed back on the reddit post. Whatever’s happening was enough to get the Project M spin-off, Evolution, to shift tactics. When I asked for an interview, they agreed...before backing out. There’s something going on, but whether we’ll ever find out? Who knows.